Deep Search Metal Detecting Club: Gold Digger Metal Detector Sales Wins Top Honors at 2012 Minelab Americas Partners Conference. Gold Digger Metal Detector Sales Wins Top Honors at 2012 Minelab Americas Partners Conference. Deep Search Metal Detecting Club Member and Gold Digger Metal Detectors owner Ron DeGhetto was awarded the Eagle Award at the 2012 Minelab Americas Partner Conference held Sept.13 - 16th in Charlottesville Virginia. 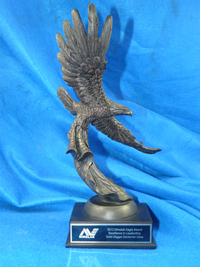 The Eagle Award is the highest honor given by Minelab Americas to the Authorized Dealer who exemplifies leadership in customer service, sales, technology and business feedback. 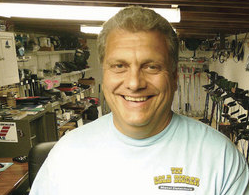 If Deep Search Metal Detecting Club Members are in the market for a new detector or need digging tools or scoops, you may want to visit their shop in Raritan NJ.